The most remarkable thing in Boston classical music in 2016 was a trio of performances that not only upgraded the city’s profile as a locus for contemporary music but promised more to come. 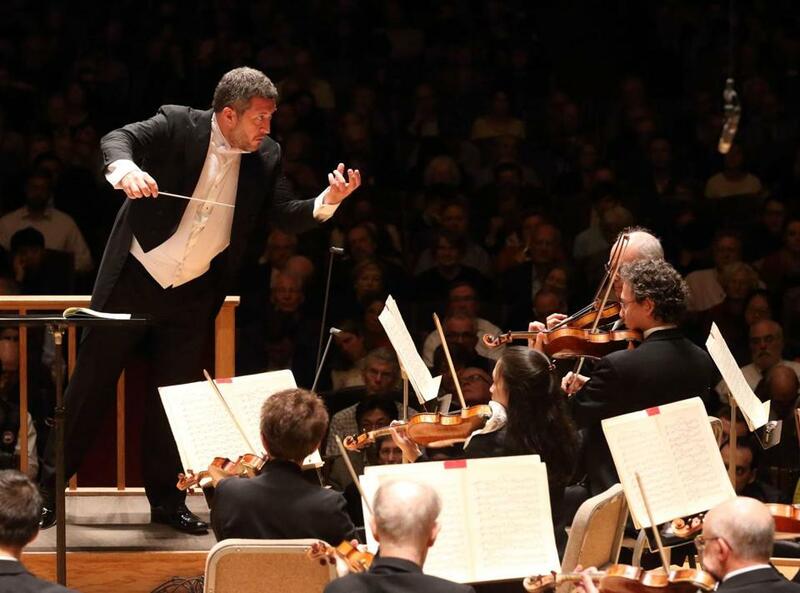 The common thread was composer-conductor-pianist Thomas Adès, beginning his three-year stint as the Boston Symphony Orchestra’s first artistic partner. That term has a dully bureaucratic ring to it, but there was nothing routine about Adès’s activities during his time here. With the Boston Symphony Chamber Players he devised a variegated program that stretched across centuries; with tenor Ian Bostridge he gave an idiosyncratic yet devastating performance of Schubert’s “Winterreise”; finally, he curated and conducted a death-haunted program dominated by his own vocal tone poem “Totentanz,” perhaps the most accomplished orchestral work he has yet written. That program also demonstrated a composer’s depth of insight into scores by Sibelius and Britten. Taken together, these events reaffirmed Adès’s stature as one of the most comprehensively talented musicians alive, and they showed the wisdom of the BSO’s having secured such a prominent affiliation with him. Whatever his residency brings in the future — he will be at the Tanglewood Music Center next summer — it is already off to an inspiring start. It has also given the orchestra a high-profile collaborator at a time when its affiliation with music director Andris Nelsons is flourishing on a week-in, week-out basis. Whatever debate there may be on the merits of individual concerts, in the best performances that I heard Nelsons lead this year — Mahler’s Ninth Symphony, Shostakovich’s Eighth, Brahms’s First and Third, and, above all, a concert performance of Strauss’s opera “Der Rosenkavalier” — there was a rapport and mutual intensity between conductor and players that made clear that something special is happening. The news was not all good for the city’s flagship orchestra. It lost one of its musical pillars, principal cellist Jules Eskin, to cancer at 85, after a BSO career that spanned five decades and five music directors. He will be missed. More serious, from an artistic point of view, the Tanglewood Festival Chorus continues to exist in a kind of no-man’s land, where it has been since the retirement of founder John Oliver last year. Since then its work has been highly variable. An October performance of Brahms’s “German Requiem” under Nelsons showed that the chorus’s tonal warmth was intact, but its concomitant precision and clarity had gone largely AWOL. The BSO says the search for Oliver’s successor is ongoing, and of course it needs to secure the right candidate. But it must do so quickly, lest the legacy bequeathed by its founder slip further away. Adès was hardly the only prominent composer to pass through Boston. Hans Abrahamsen came to the BSO for performances of his haunting, Grawemeyer Award-winning vocal work “let me tell you,” sung with enveloping brilliance by soprano Barbara Hannigan. He also worked with the crusading new-music ensemble Sound Icon for a rewarding account of his chamber ensemble piece “Schnee,” a multifaceted portrait of snow etched in strict contrapuntal form. 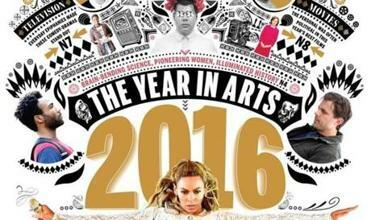 Many of the most rewarding concerts I heard this year forged a conversation across eras and styles. András Schiff played a program, at once simple and daunting, of the final piano sonatas of Haydn, Mozart, Beethoven, and Schubert, with exemplary results. The Pacifica Quartet constructed an intriguing dialogue between the quartets of Mozart and Britten at the Gardner Museum. The Celebrity Series of Boston’s Stave Sessions brought together the old-timey folk blues of Sam Amidon and Glenn Kotche’s futuristic percussion. Stephen Drury’s Callithumpian Consort melded two wholly dissimilar works born in 1976 — John Cage’s “Apartment House 1776” and Steve Reich’s “Music for 18 Musicians” — into a surprisingly coherent program. Jeremy Denk somehow made a cross-section of music from across centuries relevant to the rhythm of ragtime. The apex of this programming model was the Berlin Philharmonic’s final visit to Boston under chief conductor Sir Simon Rattle, as the pointillistic sounds of Pierre Boulez’s “Éclat” seemed, anachronistically, to be refracted into Mahler’s riotous Seventh Symphony. So much of our musical life takes place inside concert halls that it feels appropriate to end with the most rewarding music I heard outside of one: John Luther Adams’s percussion work “Inuksuit,” organized by percussionist Maria Finkelmeier’s Kadence Arts organization and played by some 92 performers in the expansive environs of the Arnold Arboretum. Mahler famously said that a symphony must be like the world by embracing everything. Here was a musical experience that did just that, a reminder of how far and how deep this art form can reach.